Right now is the PERFECT time to purchase a home. Mortgage rates are still at an all time low and the banks are becoming more lenient on the qualifications to get a mortgage loan. Many current tenants are thinking of making the move to become home owners but, they are not quite sure it is the right time. Take a look at these signs as it may describe your current situation. 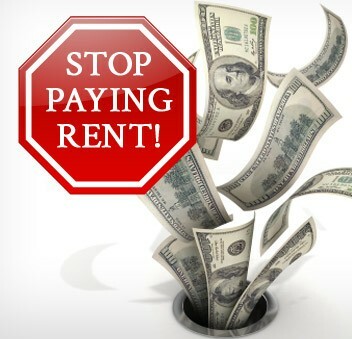 This is the number one sign as this is always the tipping point for most renters. I remember when I was working one day at the dealership and I asked my customer a series of questions related to their auto loan approval. One of the questions were, “What is your current rent/mortgage payment per month?” They answered “$850!” Yes, $850!!! At the time, my wife and I were paying a little more than that for a nice apartment in a nice area. It was at that moment I began to ask myself, “Where do all of my rent payments go each month?” It was also at that moment that I decided to become qualified for a mortgage loan. Most rent payments are extremely close to that of mortgage payment. Mortgage payments can be under $1000/month for a lot of reasons. The homeowner could have placed a nice down payment, they could have re-financed, they could be living in a low cost neighborhood, or they simply could have found a great deal on a property. Many tenants think most mortgages are between $1500-$2500 when that is not the case at all. Most residential homes for middle income americans range from $125k-$175k and could be lower depending on the state. That creates a mortgage anywhere from $800/month-$1400/month with today’s mortgage rates. You gotta love the alarm clocks that never get shut off in the morning from your neighbor. Or what about the one who always decides to wash their clothes past the allowed time notice. Or the kids who sleep in a bedroom right above yours and it seems like there is always a wrestling match on their floor. Or what about the one who always has company over to hammer a few things on the wall…….every night……..if you know what I mean lol. Either way, your neighbors keep doing things that either upset you or piss you off. We didn’t even discuss the major ones such as: Arguing couples, constant smoke alarms, cannibus under the door, loud music and parties, constant furniture moving, and I could go on and on! Most of the minor things we all have dealt with only because the situation is not big enough to complain to the landlord about. One thing for sure is that its easier to change what YOU CAN control vs trying to change something YOU CAN’T control. That moment when you call your landlord about a problem you are having in your apartment that needs to be fixed…………..and they said they would fix it months earlier. Or what about the so called “Free Heat” but the temperature feels like 60 degrees inside the apartment during the winter. Wait, what about the time your landlord asked you to pay rent a couple of days EARLY for no reason at all! Or maybe the time you came home and you noticed your apartment had been entered by someone else and could possibly be the landlord! Yeah, that my friend is a slumlord! Things never get fixed and complaints never get addressed. But you deal with it. Why? Because its easier to live under someone else’s rules and building than your own right? With a home, you will have to maintain it yes, but at least its your home. You may have your own gas bill but at least you can control the heat to your liking. Ditch the slumlord and qualify for your own mortgage! As a good or great tenant, I am sure you have thought about the idea of home ownership. Let these 3 signs push you in the right direction of getting that loan pre-approval. I myself know the feeling of dealing with some tenant issues of my own and also dreading the pre-approval process. Credit is a big deal and it is needed to finance a home. PreviousPrevious post:How To Build Your Credit With A Low IncomeNextNext post:What Exactly Is A FICO Score?